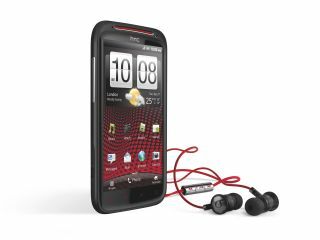 The head of HTC UK Phil Robertson has acknowledged that the company needs to 'get back to what made us great' after the Taiwanese manufacturer lost momentum in 2011. He said HTC will focus more on hero devices and cut back on the number of phones it releases in the coming year, after outing a huge array of Android and Windows Phone devices last year. Robertson said the company tried to do too much during the last calendar year, which contributed to its first fall in profits in the last two years, last quarter. Robertson said: "We have to get back to focusing on what made us great - amazing hardware and a great customer experience. "We ended 2011 with far more products than we started out with. We tried to do too much. "So 2012 is about giving our customers something special. We need to make sure we do not go so far down the line that we segment our products by launching lots of different SKUs." With that in mind, the company is planning to focus more on smartphones than trying to compete with the iPad and other Android tablets. Also, a smaller number of high-end smartphones are likely to dominate the landscape in the coming months, beginning with the launch of quad-core devices at February's Mobile World Congress event.